Nick Webb, Rohan Date and George Lamport all representing Guildford City Gym on December 15. British Warrior Boxing’s festive fight card, titled ‘Christmas Carnage’, on December 15 at the York Hall features a trinity of talent from Guildford City Gym – heavyweight Nick Webb (13-1); unbeaten Irishman Rohan Date (6-0-1, 5KOs); and 21-year-old George Lamport (6-0). 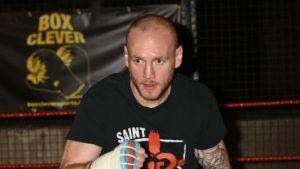 Chertsey heavyweight Nick Webb (13-1), 31, blasted his way back from defeat to David Allen (13-4-2) at the O2 Arena last August with a conclusive second-round demolition of dangerman Dorian Darch (12-7-1) on September 29 at Bracknell Leisure Centre. 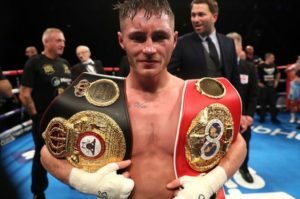 He rushes back to the ring yet again, looking to get a second ‘learning fight’ in, in what is a planned rebuild process to get back to title contention – his sole career loss to Allen was a British title eliminator. Undefeated Irishman Rohan Date (6-0-1, 5KOs), who resides in Dubai, has his eighth pro bout, which he had hoped would be an eight-rounder so he could challenge for the BUI or Irish welterweight title next year. Instead, the seven-time Irish national amateur champion will be pitted in a six-rounder against an opponent yet to be confirmed. In his last outing the 25-year-old defeated Dutch national champion Innocent Anyanwu (25-38-3, 15KOs) via a second-round stoppage on October 27 in Southsea to bring his record up to seven bouts unbeaten with five KOs, one result ending in a draw with fellow unbeaten super-lightweight Wes Smith (3-0-1) from Cornwall. Date was a standout amateur and won the World Golden Gloves in 2013. Farnborough super-welterweight George Lamport (6-0), 21-years-old, will look to build upon his first ever stoppage win last September. 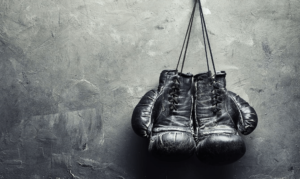 Lamport stopped unbeaten Reading-based Austrian Konrad Stempstowski (8-0) in the fourth-round of their scheduled six-rounder. The Guildford City Gym teammates enjoy close working relationships, they all fought together on September 29 in Bracknall, each one walking away with a KO win, and they share the card again on December 15, hoping for similar success.